Life is easy when you’re good looking. I remember when Brad Pitt first stumbled on to our screens in that Levi’s ad and my jaw dropped. So why couldn’t he act himself in the Chanel No 5 advert? Wooden at best, his performance is cringing and his goat beard makes me feel itchy. 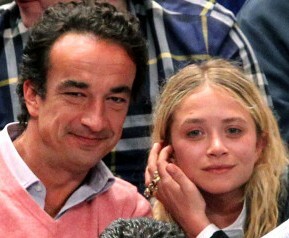 A rumour on the entertainment circuit is that 26 year-old Mary-Kate Olsen is dating 42 year-old Olivier Sarkozy a relation of the former pint-sized French president. Is this too big a gap or does the gap depend on the decades in question? 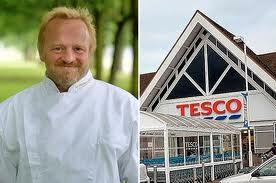 British celebrity chef, Antony Worall Thompson was caught shoplifting cheese and wine from his local Tesco and has been given a police caution. Shame, shame we know your name. In his released statement he talks of getting treatment. Is shoplifting an illness? I am not aware of this. It’s summer and my mum is waiting for the hot days to arrive so that she can make her year’s supply of poppadoms. This dying tradition that my mother so duly carries out reminds me so much of youth. 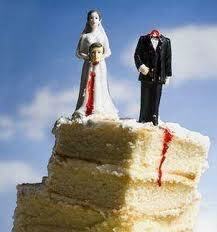 Our generation’s Elizabeth Taylor, the most fabulous Jennifer Lopez announced she is divorcing her manorexic husband. Liz Hurley finalised her divorce to old what’s his name, the Indian chap who no one cares about, in 92 seconds. Is that a record breaker or is that normal? Why is it that whenever there is an Asian event, the women go all dressed up in their Asian clothing and the men go just as they are? Sometimes men barely manage to put on a suit nevermind a Kurta and if a woman would turn up in her casual English attire, she would be stared at, judged and gossiped about.